Rebuilt and restored castles and monasteries add a historic atmosphere to lodgings. Regal Paradores that have been created within the ruins of ancient castles, palaces, monasteries and convents in Spain are some of Europe’s most luxurious and spectacular hotels. Known as Paradores, these majestic hotels offer visitors a romantic, atmospheric and luxurious lodging experience in Spain. Built within the restored walls of magnificent castles and stately palaces, regal Paradores provide travelers with a unique taste of history. Crenelated towers, soaring archways, massive battlements, sumptuous throne rooms, and breathtaking views are de rigueur for these exceptional lodges. All Paradores are not created equal. Some are more luxurious than others. Some are modern rather than reconstructed, situated to take advantage of fabulous, one-of-a-kind views. 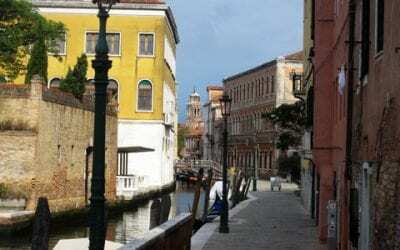 Some are nestled within a labyrinthine old town. Some sit on splendid countryside estates. Others cling to cliffs, sit on hilltops or along white beaches. Each is an exclusive experience unto itself. 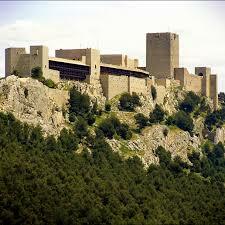 There are 90 or so Paradores scattered throughout Spain. About half of them are modern and the other half are built in restored historic buildings. All Paradores, however, have an excellent restaurant that focuses on the local gastronomy. All restaurants, whether in regal Paradores or a modern one, provide a grand architectural and fine dining experience. Award-winning regional chefs craft meals that draw on local produce, fowl, fish, and game. For luxury, these are five of the most sumptuous regal Paradores. Parador Hostal de San Marcos, Leon (right). This hotel, founded in a 12th-century pilgrim’s lodge, has just undergone a complete renovation. It has all the trimmings for luxury and is considered one of the crown jewels in the Parador chain. No one here is doing penance. The beautiful Renaissance building and its formal gardens are only minutes from the city’s Gothic cathedral with its legendary 12,000-square-foot sea of stained glass windows. Parador Hostel Reyes Catolicos, Santiago de Compostela. 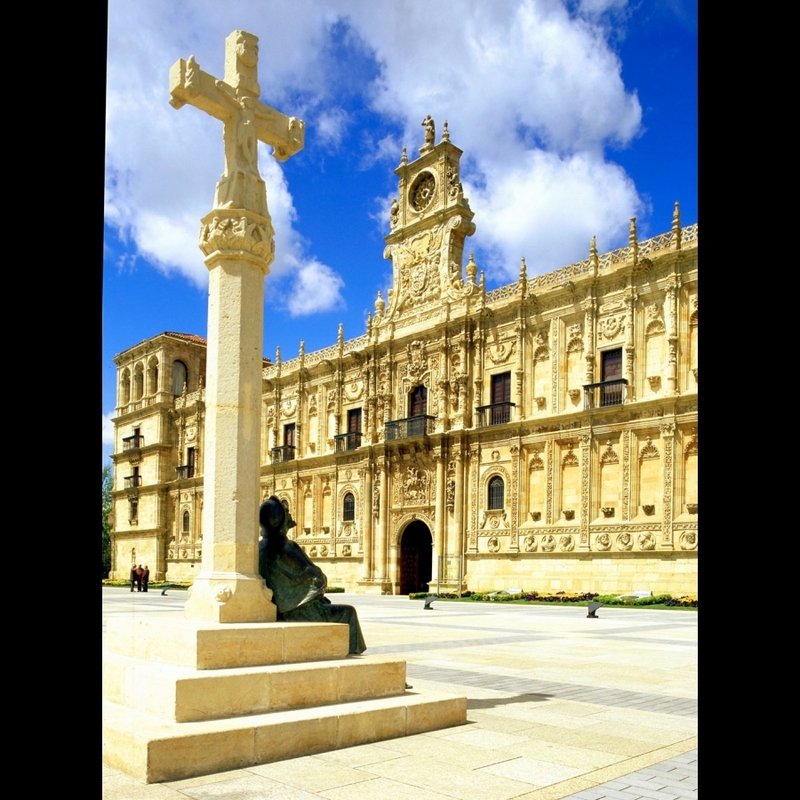 One of the oldest hotels in Spain, this regal Parador is part of one of the most beautiful squares in the world, Plaza del Obradoiro. 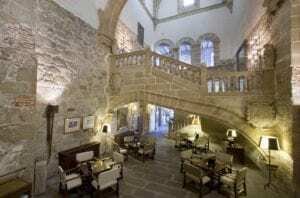 Inside, the hotel has four ornate cloisters, Gothic and Baroque decor, spacious hallways and two excellent restaurants. Steps from the front door is the Cathedral of Santiago, resting place of the apostle St. James and one of the holiest shrines of the Catholic Church. Parador San Francisco, Granada. This is as close as a modern man can come to living like a caliph ruling the Islamic lands in Spain. 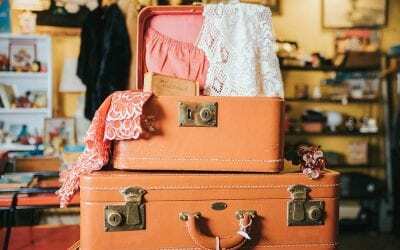 Rooms are hard to come by and the luxury is not found in the decor and amenities, but rather in the wonderful location. This is the most popular regal Parador in Spain. It sits between the evocative Alhambra and the Generalife (the Moorish palace and gardens) in a restored monastery overlooking Granada. In the hills across town, flamenco was born. Parador Monasterio de San Pedro de Villanueva, Cangas de Onis. Set in the midst of the spectacular Picos de Europa, this new luxury Parador is relatively isolated. It is a civilized haven surrounded by rugged mountains, deep gorges, hairpin turns, stone-age caves and cascading rapids. 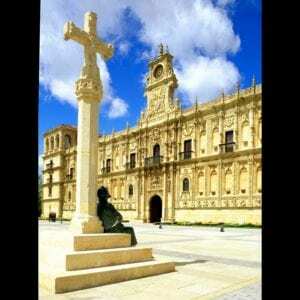 The Parador has public areas and rooms carved within an old monastery, with a modern wing as well. This wild region is where the Christian Reconquest started with a tumultuous battle in 722, eventually driving the Moors out of the peninsula. Parador Convento de Santo Domingo, Plasencia (left). 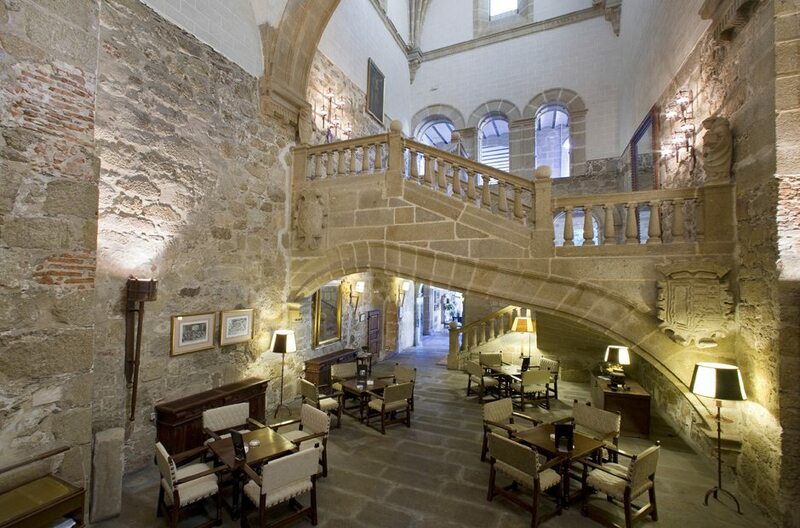 This relatively new regal Parador is situated in a 15th-century Dominican convent in medieval Plasencia. The interior of this Parador is decorated with colorful tiles, wooden ceilings, and arching stonework. The evocative streets in this still-undiscovered town are lined with noble palaces adorned with wrought-iron balconies. Laundry still hangs over steep alleys and the curious cathedral offers two distinct architectural styles. Several regal Paradores are ancient castles sprinkled in every corner of the country, with various levels of luxury. These castle hotels sit precariously on mountain peaks, control borders and rivers, or dominate the surrounding countryside. Here is a list of the ten most memorable and picturesque regal Paradores. 1. Parador Santa Catalina, Jaen (right), has been constructed in a restored Moorish castle that dominates the town below. 2. 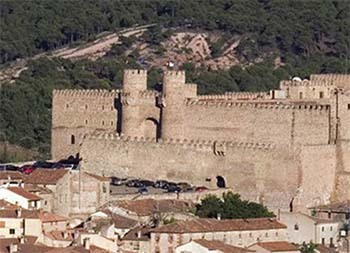 Parador Cardona, Catalonia, is within the massive walls of a medieval 9th-century fortress. 3. Parador Ciudad Rodrigo, Extremadura, offers hospitality in a bastion that once guarded the Portugese frontier. 4. Parador Siguenza, Guadalajara (lead photo), has rooms within the crenelated walls of a 12th-century Moorish castle that was eventually converted into a bishop’s residence. 5. Parador Hondarribia, Gipuzkoa, a defensive castle, overlooks the Bay of Biscayne and the river that forms the border with France. 6. Parador Tortosa, Catalonia, in a 10th-century fort, strategically guards the Ebro river where it joins the Mediterranean. 7. 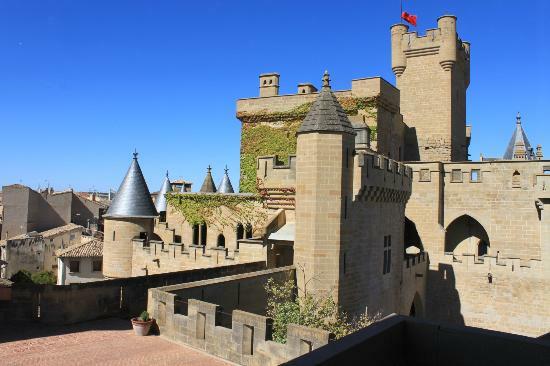 Parador Olite, Navarra (left), occupies a wing of the fairytale 15th-century castle set in the midst of a little-changed medieval town. 8. 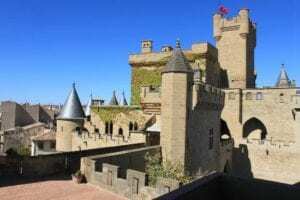 Parador Alcaniz, Teruel, is a castle turned convent that dominates the small town known for its beautiful Mudejar towers and a sad story of unrequited love. 9. Parador Alarcon, Cuenca, fills the 8th-century Moorish fortress that guarded the Jucar River from a dramatic promontory. 10. Parador Vilalba, Lugo, features a defensive tower that houses six rooms. Lugo was a walled Roman town founded in the 3rd century in Galicia. For more information about the regal Paradores of Spain, contact the Tourist Office of Spain.